RegFox is an online event registration and ticketing sales platform that offers total branding control. It allows users to manage multiple events, scan tickets onsite, and process online payments. 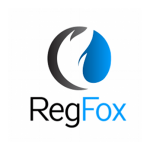 In this article, we cover RegFox reviews and pricing. Ready to get started? Visit its website. Users who gave RegFox a positive review said that the platform offers attractive pricing and provides efficient ticket sales tracking functionalities. They also mentioned that its conditional logic feature allows them to further customize and configure their events according to their needs. Users who gave RegFox a negative review said that that customer service accessibility needs further improvement. A few of them also commented that the initial set up is complicated. RegFox pricing is 99 cents per attendee, with no monthly subscription fees. Premium features are available, such as communication center (2 cents per invite or follow-up message), custom gateway (1% of transaction), and custom domain masking ($500 setup plus $99 per month). Ready to get started with RegFox? Visit its website. Which payment gateways are compatible with RegFox? RegFox has an in-house payment processor, called Webconnex Payments, that has a fee of 2.99% per transaction. It is also compatible with Authorize.net, Stripe, and Cornerstone gateways such as Sage and Securenet. Does RegFox allow its users to have a waitlist option for their event registrations? Yes. RegFox has a waitlist option that users can set up with their event registrations. Users need to manually manage registration completion from the wait list from their dashboards. Note that if a registration is canceled, it will open up a spot for someone to register on the live page unless it is immediately filled by the user by manually selecting someone from the waitlist. Have you read these RegFox reviews and are still not sure if it’s the right fit for you? Read our reviews of all top event management software or check out one of these three RegFox competitors. Software that works smoothly without any problem RegFox, we like that we can use this software knowing that we will finish our work without any kind of obstruction. Its price is quite economical considering everything it offers. The only negative aspect of RegFox is its endless simplicity, which ultimately ends up being very boring. Out of this is a program that has worked very well so far with the rest of its categories. In addition to the simplicity issue, we would have liked to know that your technical support would take a while to respond to our messages, we hope you will be more attentive next time. With the new and improved drag-and-drop system of Regfox, designing pages is now much easier! We use this for multiple events and we really appreciate the ease with which we could see the records and analyze the data. The price system is per transaction now, it used to be based on subscription. This could be a pretty big negative for organizations that have large revenue events, since a larger part will go to the software. It’s not so much a scam, but it’s worth mentioning. The platform is a service offered by the payment processor, webconnex. You are basically forced to use your payment system or pay a high sales charge. Your payment system is decent enough. Very easy to use and customize. Allow me to customize it so we can collect all the information we needed about each broker. The reports are easy to use and very easy to customize. The reports allowed us to know at a glance how many riders we had in each class. The support is by email initially. If the problem is complicated, they will give you a phone number. I would prefer a phone call initially. The initial configuration took a little time to learn. I had to play with him for quite some time to ensure that it was fully functional. I would have liked to know that the exchange rate system. The price system is per transaction now, it used to be based on subscription. This could be a pretty big negative for organizations that have large revenue events, since a larger part will go to the software. I honestly can’t think of one thing…..
All my questions were answered prior to purchasing – their website is very clear on pricing, features, support, etc. I haven’t had any unpleasant surprises – 100% satisfied customer. 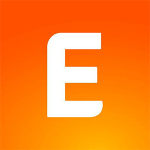 Planning events and keeping track of registrations got a lot easier with this app. And even better, the transaction costs are much lower than most competitors. With an easy drag and drop system, there is not much training required before you can publish live forms. 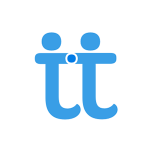 The app does not integrate with a lot of new CRM softwares so make sure to check on that. However, their reporting and exporting is intuitive so you can usually find a way around this. You can spend a lot of time comparing pricing of products like these. I wish I would have known their commitment to competitive pricing, it would have saved a lot of time looking! 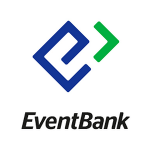 What's the Best Event Management Software?